The Panther was a tank fielded by Germany in World War II that served from mid-1943 to the end of the European war in 1945. It was intended as a counter to the T-34, and to replace the Panzer III and IV, though it served along with them and the heavy tanks until the end of the war. The Panther's excellent combination of firepower, mobility, and protection served as a benchmark for other nations' late war and immediate post-war tank designs and it is frequently regarded (along with the Soviet T-34) as the best tank design of World War II. Apparently the Panther II was to be an uparmored version of the standard Panther tank. I've not been able to find any information on whether this tank actually saw production. The lone surviving example of this vehicle is at the Patton Museum and sports the turret of the Panther G.
Doing a rare subject like this is exactly why Dragon created the Cyber-Hobby line. Now we have an established kit with some additional goodies (the Volkssturm figure set) to add value to the kit. The kit itself will require a tiny bit of modification to provide this variant and the instructions show what needs to be done in that regard. This is one of their kits with the individual track links and though the DS tracks are nice, for the best representation of the real thing, individual links cannot be beat. Detailing is all that we have come to expect from the Dragon folks with crisply molded parts and zero flash. There is a small photo etch fret included that takes care of the screening for the engine and that is about it. I like that this medium is kept to a minimum as most modelers are not super proficient with it and those that are can get aftermarket sets to provide that additional detailing. As with the other kit previewed in the 'Value Pack' series, this one has a smaller though full color set of instructions. The usual Gunze and Model master paints are referenced as is an assembly and painting guide for the figures. 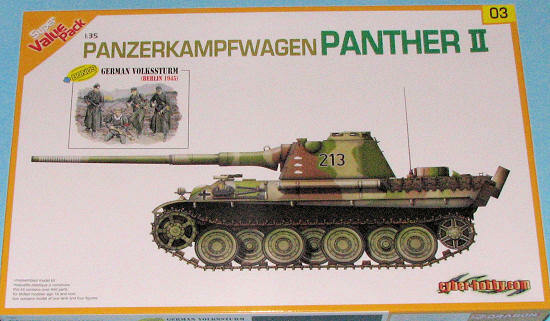 There is one markings option as shown on the box art, but really, you could do any tank you wish as the decal sheet has a lot of spare numbers to use. This is shown in a green/brown/tan scheme, though it seems those colors missed the painting guide which shows blue and two grey shades! 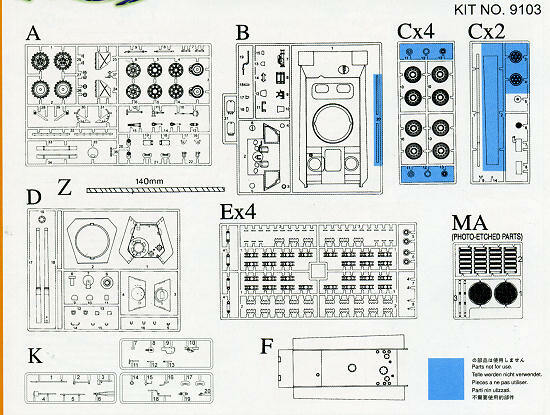 I have noticed that these kits are selling briskly at the local hobby shop. And well they should as they provide good value for the money. This one is no exception.